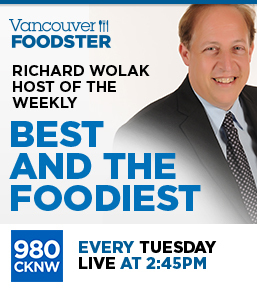 Welcome to the Vancouver Foodster Fries Challenge. 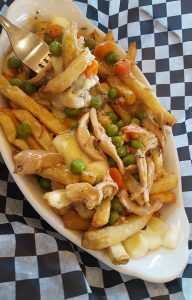 Restaurants from all over the city were invited to enter their Fries creations into this challenge. 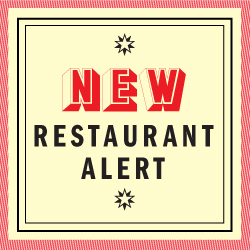 Each restaurant will be featuring their Crazy Fries creations on their menu from February 7 – March 3, 2019. How Does this all Work? 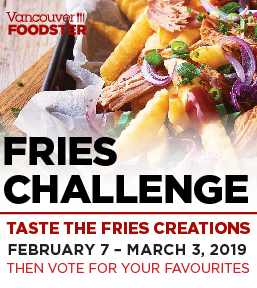 For the public challenge, you are invited to go out and order any or all of the fries creations in this challenge, then you decide who you think has the best crazy fries creation for the People’s Choice award winners. 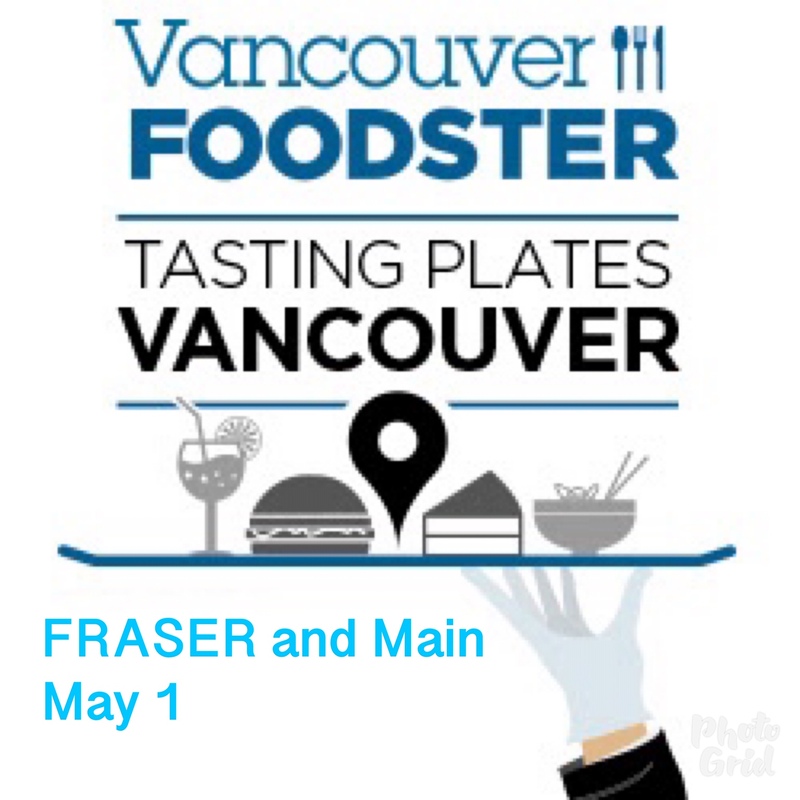 Share your experiences: Tweet (and don’t forget to tweet or instagram your photos) throughout the challenge, our twitter and instagram address is @vanfoodster and the hashtag is #FriesChallengeYVR please include this hashtag in all your tweets/instagram during the challenge. 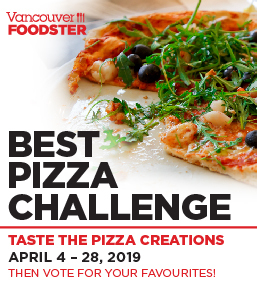 Voting criteria – some things to help you judge your favourite Crazy Fries creations – keep these things in mind: originality, creativity, uniqueness, traditional, non-traditional, price, value and most importantly taste. Here are the Fries creations in this challenge, listed in no particular order other than when they were received by us. 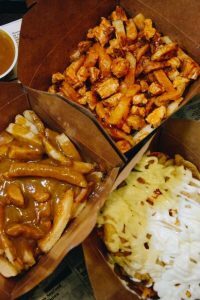 Description: House cut fries, 3 signature chips (fries) creations from Ireland combined into one dish, that includes curry cheese fries, garlic cheese fries and taco fries. 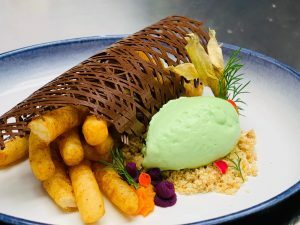 Description: Long, coconut fries topped with salted coconut caramel sauce garnish with chocolate net and serve along side with avocado ice cream.